I have been invited to comment on one of the essays comprising Lambert Zuidervaart’s upcoming book with McGill University Press, and I am very glad to respond here to this call. As my own theoretical concerns are shaped by Jürgen Habermas’ work in social theory and by philosophical work in the critical tradition inaugurated by the Frankfurt School, I concentrate on the essay “Artistic Truth, Linguistically Turned: Variations on a Theme from Adorno, Habermas and Hart”. Let me say from the outset that the reflections I offer here are tinged with a sense of humbleness and I have a few reasons for this. First I am genuinely impressed with Lambert Zuidervaart’s work in critical theory and philosophy of art. I am mostly struck by his capacity to feel at home both in Anglo-American analytical philosophy and continental philosophy, and to discuss at a remarkable level of depth complex concepts from the philosophical work of thinkers like Adorno, Habermas or Heidegger, who are notorious for their difficult (if not hermetic) style of writing. Lambert crosses with ease philosophical divides that are daunting even for philosophers well trained in the two traditions mentioned. At a time when our world is so fragmented, so divided along confessional, ideological and cultural lines, so prone to confrontation rather than dialogue, I think that Lambert’s approach is particularly relevant. Moreover, I am under no illusion that I will be able to offer here critical comments that Lambert, over his career as academic professor and reformational thinker, has not already been confronted with, thought about or perhaps even publicly responded to. But, for what is worth, here are my comments. I would like to begin with a summary of Lambert’s discussion, after which I engage with two aspects that are central to Lambert’s critique of Hendrik Hart in this essay but which retain a dominant presence in his entire work as well: I will comment on Lambert’s use of Habermas’ theory of communicative action, and then on the relationship between artistic disclosure and religious disclosure that Lambert posits in his critique of Hendrik Hart. The essay “Artistic Truth, Linguistically Turned: Variations on a Theme from Adorno, Habermas and Hart” has 5 sections. 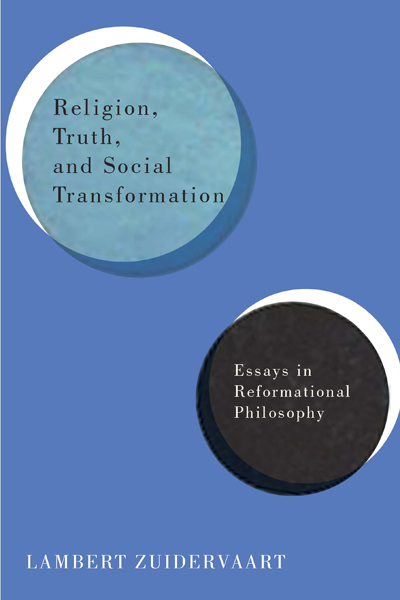 The first section sets the context for discussion; Lambert recounts the formative debts to Hendrik Hart’s innovative work in systematic philosophy and epistemology; in particular, Hart’s critique of the rationality tradition of Western society sparked his interest in “developing a broader conception of knowledge and truth”, as well as the interest in the topic of “artistic truth” (158); While he acknowledges Hart’s intellectual influence on his own theoretical interests, Lambert also raises an important objection (which in this section remains in an incipient form, being laid out in a more developed manner only in the last section): Hart’s work displays a tendency to regard logical or conceptual knowledge as the the only (or at best the privileged) dimension of knowing of the patterns and structures of reality (in Hart’s own words: the “regularity and structure in reality” or “an order of sameness”). Hence Lambert’s proposal: a foray into the topic of “artistic truth” may contribute to balancing this exclusivist tendency. This is done in section 2, where Lambert traces the topic of truth in art from Plato and Aristotle, to Kant’s third Critique and to the Romantic claims about the art’s imaginative character as a “higher” source of truth, to contemporary debates over the social relevance of arts in an epoch of mass entertainment and consumerism. Two moments are important in this very brief genealogy: the Enlightenment’s view of the autonomy of artistic truth (vis-a-vis ordinary or scientific understanding), and the “linguistic” turn in twentieth-century philosophy. With respect to the latter, Lambert notes that standard theories of truth in the Anglo-American analytical tradition are quite inadequate for an attempt to construct a theory of truth in art because they restrict the class of “truth bearers” to propositions or beliefs, assertions, judgements, statements, sentences, etc. This propositional view of truth cannot account for artistic truth, “for what distinguishes much of art… is its tendency to favour the nonconceptual, nonlinguistic, and non-propositional” (161). In fact, much of Western contemporary art has become “anti-propositional” precisely because the logico-positivist view of language, as well as science and technology, more generally, have achieved unchallenged hegemony in Western culture. In section 3 Lambert puts forward the claim that Adorno’s conception of “truth-content” (Wahrheitsgehalt) offer a promising route in sorting out these debates (162). The import of a work of art can be true or false, but it can not be reduced to propositional truth. Drawing on an important earlier work, Adorno’s Aesthetic Theory: The Redemption of Illusion (1991), Lambert summarizes Adorno’s account of truth in art in 5 points. Important here, I think, is the idea that truth in art, although “not merely a human construct” (163), it is not “a metaphysical idea or essence” (162): “truth is thoroughly mediated by the [artistic] phenomena” (163). The importance of Adorno’s approach resides in that it opens up the possibility of a more comprehensive view of truth, a view that is sensitive to political, social and historical mediations of truth. However this approach has the disadvantage that philosophy (in the negative dialectic form this takes in Adorno) becomes the privileged interpreter of truth in art; also, as disadvantage, Lambert mentions that Adorno privileges autonomous artworks as the site of truth in art (163). In short, Adorno has an esoteric view of artistic truth. It is at this point that Lambert turns to J. Habermas’ theory of validity claims, which can be tapped into in order to correct these disadvantages. As is known, Habermas’ theoretical effort centres on the process of “reaching understanding” (Einverständnis) in language, which he reconstructs in a thoroughly intersubjective manner. And it is this intersubjective dimension of validity that interests Lambert. According to Habermas, every time a speaker communicates with an interlocutor with the purpose of reaching understanding in language about something in the world, the speaker raises a speech act and in doing this the speaker implicitly raises three distinct validity claims: a claim to truth, a claim to normative legitimacy (rightness) and a claim to sincerity (authenticity). Everyday communication is unproblematic in most instances, because it is carried within a shared lifeworld comprising values, principles, ideas etc. that participants in communication take for granted. This shared cultural background exerts a powerful pressure for consensus; it is only when one of the three validity claims implicitly raised in everyday communication is contested that participants switch to a more complex form of communication, which is rational discourse. In discourse participants explicitly test validity claims exchanging reasons within some procedural constraints. As it is clear from this very brief account, Habermas’ approach keeps propositions as the bearers of truth, but takes the claim to truth (as well as the other two validity claims) to have an intersubjective dimension. However in Habermas the rational discourse that thematizes the validity claim to truth is restricted to scientific discourse. Moral discourse thematizes the validity claim to rightness in a manner analogues to scientific discourse. In contrast, the third type of discourse centred on the validity claim to authenticity (and aesthetic claims as well as ethical claims of what constitute the good life are included in this discourse) thrives on expressive rather than rational insight and it therefore does not bear analogy to truth. With this, as Lambert correctly notes, Habermas nearly eliminates art’s capacity to carry truth (165). In short, art has for him only a peripheral status for issues of truth and morality. What is called for at this point is a dialectical overcoming of both Adorno’s and Habermas’s approaches. In section 4 Lambert sketches how this can be done, while in the last section of the essay, section 5, he indicates how his own approach might complement Hart’s systematic philosophy. Lambert’s proposal is to “consider artistic truth to be internal to artistic phenomena, as Adorno claims, yet differentiated into three dimensions, in a manner reminiscent of Habermas” (166). He introduces the concept of “imaginative disclosure” (or “insight”), and the contention that all artistic phenomena (whether “high” or “law”, whether “popular” or “esoteric”, whether “mass art” or “folk art”) “has as one of its tasks to proffer and provoke” imaginative disclosure (166). Imaginative disclosure occurs in art itself (167) but it cannot be restricted to the import of autonomous work of art (167). Rather, it can be differentiated into the three distinct concepts of “mediated expression” (pertaining to the context of production), “interpretable presentation” (pertaining to the context of use) and “configured import” (pertaining to the internal demands of the artistic phenomenon). Thus, an artistic phenomenon can be true with respect to artist’ intentions, true with respect to audience’s needs and expectations and true with respect to artwork’s internal demands (168). Lambert also uses the terms “authenticity”, “significance” and “integrity” for these three dimensions of artistic truth. These dimensions can be connected through “dyadic” links with the three validity claims from Habermas’ theory of communicative action: artistic authenticity can be linked with the claim to sincerity, artistic significance can be linked to rightness (normative legitimacy) and artistic integrity with the validity claim to truth. Imaginative disclosure occurs in art itself but it cannot be restricted to the import of autonomous work of art. In the last section of the essay (5), as it is expected, this complex view of artistic truth is brought to bear on Hendrik Hart’s views on knowledge, rationality and religion. As already mentioned in the first section, Lambert notes that Hart operates with a “truncated version of rationality as the conceptual understanding of order” (174). On this view “conceptual and semantic modes of experience are the primary or the exclusive ways in which order is known” (171), and this places rationality, contrary to Hart’s critique of the rationality tradition, “in a privileged position” (171). Moreover, Hart’s critique of the rationality tradition generates “a problematic account of religion”. In short, according to Lambert, Hart’s approach leads to “an overly spiritualized epistemology and an insufficiently rational spirituality” (171). With respect to both these problems, Lambert suggests that his account of artistic truth can help. The three dimensions of authenticity, significance, and integrity are relevant for religious phenomena as well: “if faith-talk and beliefs of faith function as means of imaginative disclosure within spirituality, on my account of imaginative disclosure they will be open to assessments of their authenticity, significance and integrity” (175). I hope this summary comes close to a faithful rendition of Lambert’s main arguments in this essay. Now let me offer a few critical reflections on these arguments. I regard Lambert’s attempt to “build disclosure into the very fabric of communicative action” (170) as one of the most interesting recent interventions in the debates surrounding Habermas' theory of validity claims. The issue of the relationship between language’s world-disclosing capacity and its validity basis is contentious and lays at the centre of the debate between Habermas and some important critics, like Jacques Derrida and Charles Taylor, for instance. Although coming from different theoretical traditions and interests, they both argue that Habermas’s view of language as validity pays insufficient attention to the world-disclosing function of language, and this exposes a reductionist tendency in Habermas’ “universal pragmatics”. If Habermas’ theory is to be improved, Lambert’s suggestion is the way to go. Also, it seems to me that bringing disclosure into a more direct relation with Habermas’ theory of the validity basis of language would make Habermas’ project of translation of religion in a “post-secular society” from his recent writings more plausible. I regard Lambert’s attempt to “build disclosure into the very fabric of communicative action” as one of the most interesting recent interventions in the debates surrounding Habermas' theory of validity claims. This being said, however, I think that at least two sets of questions can be raised. The first takes aim at the idea of cultural differentiation and validity claims. It seems to me that the philosophical relevance of Habermas’ theory of communicative action comes into light fully when it is put in the context of his defence of the Enlightenment project. Following Max Weber, Habermas interprets modernization as a process of rationalization which, on the cultural level, leads to a differentiation of three cultural spheres (science, morality/law and art), each with its own “inner logic” and development. On the societal level, modernization as differentiation leads to a separation of state bureaucracy and capitalist economy from lifeworld. Now, differentiation as hallmark of modernity has not necessarily been seen as positive; in fact many thinkers saw it in a negative (or at best ambivalent) light: concepts like anomie, alienation, social disintegration have been coined in this context. Hegel, for instance, criticized Kant’s tripartite view of reason (on which the Weberian narrative implicitly draws), highlighting what he calls “the diremptions” introduced by modernity and pointing to the imperative need of rational reconciliation. Marx’s analysis of alienation and commodity fetishism, Georg Lukács’ theory of reification and Adorno’s analysis of culture industry can also be mentioned here. “Postmodern” thinkers have seen differentiation as a symptom of the hopelessly self-destructive character of modernity. Also, many religious thinkers/theologians have resisted the separation of truth from morality and morality from the good. Weber himself thought that the process of rationalization (co-extensive with “disenchantment” - or secularization - of society) would lead to a generalized lack of meaning and generalized oppression (in an “iron-cage” kind of bureaucratic society). In particular, he thought that the moral sphere will crumble under the pressure of the other two spheres into a perpetual (neo-pagan) struggle between different gods and demons (ultimate principles, values), none of them capable to commend universal assent. To use Yeats’ words here, he thought that “the centre cannot hold”. “Specialists without spirit” and “hedonists without heart” would eventually replace the religious human. For Habermas, however, the centre does hold. The theory of validity claims and communicative reason is designed to prove it. A procedural, universalist, moral theory (“the ethics of discourse”) would make differentiation appear less destructive. My question is the following: insofar as Lambert adopts Habermas’s idea of rationality as the discursive redemption of the three validity claims, to what extent can his approach resist taking over some of the problematic assumptions on which Habermas’s view of communicative reason also rests? Does Lambert agree with the separation of morality (universal, procedural and centred on justice) from the good (the latter always parochial, tied to the self-expressive needs of a particular community - including here communities of faith)? ...insofar as Lambert adopts Habermas’s idea of rationality..., to what extent can his approach resist taking over some of the problematic assumptions on which Habermas’s view of communicative reason also rests? Does he see modern differentiation in an entirely positive light? I think the answer to this question is “yes”, and this is why the theory of validity claims is proposed as a welcome correction to Adorno’s view of artistic truth and Hart’s view of religion. Note however a complication here: differentiation means that the cultural sphere of art is autonomous vis-a-vis that of truth (it has a distinct “inner logic”); insofar as the three validity claims are transferred now into the sphere of art (under the dimensions of authenticity, significance and integrity), as Lambert suggests, the whole idea of autonomy of spheres is under threat. What kind of autonomy can art now claim if it is tied into a dyadic relation to truth and morality? Where is one to draw the borders between these distinct spheres and where is one to see continuity? In short, the idea of “internally differentiated” spheres seems to undermine the Habermasian-Weberian idea of externally differentiated spheres. Lambert’s work deals to a large extent with the relationship between truth and art; but what about the third modern sphere, that of morality? Is this sphere to remain centred on just one validity claim (rightness) à la Habermas? Or can this sphere be transformed in a way similar to how Lambert suggests to be done for the artistic sphere? And what would be the implications of such a transformation for the issue of universality of moral norms, that Habermas is so keen to defend (against Weber)? Moreover, what is one to make of Habermas’ discourse principle (D) which regulates and orients the rational redemption of validity claims in all three types of rational discourse? What would be the relationship between D and the process of “imaginative disclosure” that Lambert discusses? Is any imaginative disclosure to be subsumed under D? Is D a necessary part of any imaginative disclosure? Also, what would be the role of the idea of “ideal speech situation” in the process of disclosure, an idea which according to Habermas, is always already implied in rational discourse? This last question becomes interesting in the context of religion. According to The Theory of Communicative Action, communicative reason (as mechanism of social integration) effects a “linguistification of the sacred”. For Habermas secularization (disenchantment) of society is not self-destructive because, according to Habermas, the “spellbinding power of the holy, is sublimated into the binding/bonding force of criticizable validity claims and at the same time turned into an everyday occurrence”. As he also says: “only a morality, set communicatively aflow and developed into a discourse ethics, can replace the authority of the sacred”. The language here is unequivocal: “replacement”, “sublimation” of religion. The idea of “ideal speech situation” is the normative projection that accounts for a “transcendence-from-within” this world and this idea is meant to replace (pre-modern) normative appeals to a transcendent divinity. If I am allowed to put a very complex discussion into a nutshell, I would say that there is a strong secularist projection built-in the very idea of intersubjective validity at the core of communicative reason. How easy it is then to unhinge the process of intersubjective redemption of validity claims from this projection? ...I would say that there is a strong secularist projection built-in the very idea of intersubjective validity at the core of communicative reason. And this leads me to the the second set of questions that I would tentatively raise here, this time pertaining to the analogy between disclosure in art and disclosure in religion. How far can this analogy hold? Is imaginative disclosure in art fully equivalent to imaginative disclosure in religion? Is that which is imaginatively disclosed in art and that which is imaginatively disclosed in religion part of the same ontology? One way to formulate the point I am trying to make here would be, perhaps, as follows: can Habermas’s theory of rationality be equally fruitful for art as for religion? Perhaps the secularist premise built-in Habermas’ linguistic turn would not upset that much a linguistically turned concept of artistic truth, but I think this premise is something to be reckoned with in the context of a linguistically turned religious truth. Habermas, J. The Theory of Communicative Action, vol 2. Boston: Beacon Press, 1987, 77. Adrian N. Atanasescu is approaching the completion of his PhD thesis in political theory in the department of Political Science at University of Toronto. 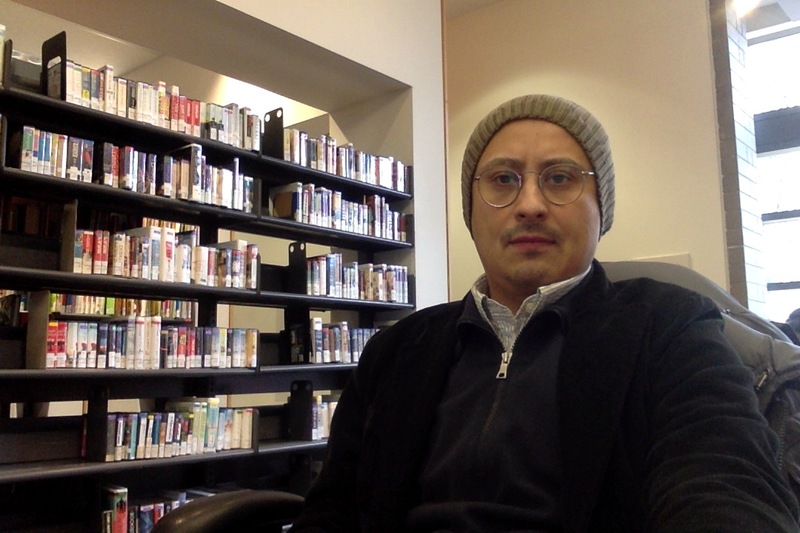 His research areas of interests include critical theory, hermeneutics, political theology, multiculturalism, immigration, post-communism and democratization. The title of his dissertation is “What is missing? Jürgen Habermas’ turn to a post-secular society and the limits of postmetaphysical modernity”. This a fascinating reading of Lambert in the midst of his philosophical interlocutors. I want to thank you Adrian for the questions you posit. It seems to me that these are important questions to ask if there is to be a critical retrieval of Lambert's own proposals. I think your questions are a real challenge that will have to be considered and taken into account. I do not myself have answers to give, even at the intuitive level but I can imagine that you have gotten Lambert to furrow his brow in front of his computer. It would be wonderful to have him weigh in with a comment or two. I did think it high time that someone acknowledge the quality of your contribution though in the comment section of this blog. Better late than never--it remains my motto willy-nilly.